Tagliolini with onion jus and aged parmesan at Fico. 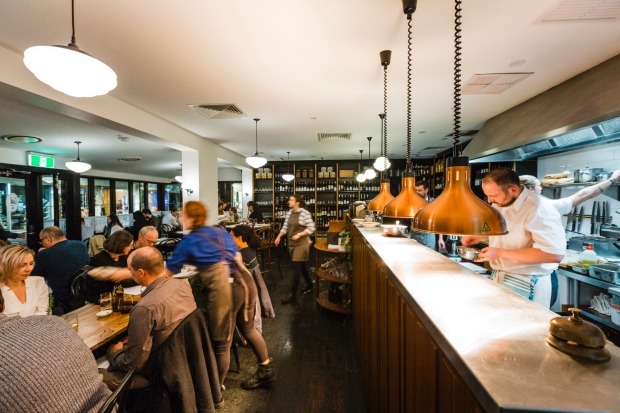 We have spent the past six months reviewing restaurants from Perth to Hobart and Adelaide to Brisbane for the first national Good Food Guide, and we have noticed that the most exciting eating in Australia right now has distinctly Italo roots. And we say roots because much of what is on those plates would potentially get the chefs backhanded by their nonnas. 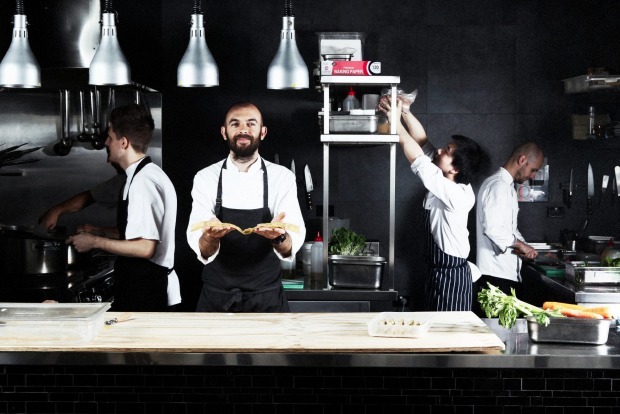 We adore the Italian Waiters Clubs and Beppi's of this country and all the new places doing authentic Napoli pizza and tiramisu, what we are truly excited about are those punks out there turning the dial on a whole new style of Italian cooking that's migrated from Sydney and Melbourne kitchens, making its way around the country. This is third-wave Italian, loudly and proudly taking pasta, polenta and salt cod and passing it through the mod-Oz filter until it has a distinctly Australian (by which we mean kind-of Japanese and hella broad European) twang. First wave Italian came at the hands of Italian immigrants who shaped the likes of Melbourne's Lygon Street and Sydney's Norton Street into a snapshot of home. Over the next 60 years the second generation has taught us to eat both high end and street Italian with brio. Now the third wave is washing over the country. At Fico in Hobart that translates as tortellini with fermented Japanese turnips and gnocchi crafted from squid. 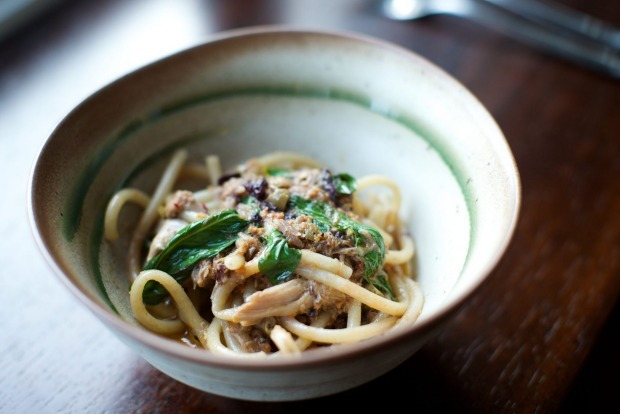 It's the carbonara crowned with eel at Melbourne's Tipo 00. It's definitely vinegary chicken feet at Perth's Lulu La Delizia. 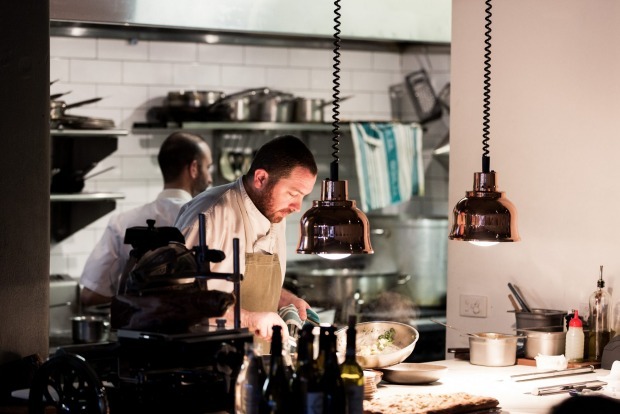 And it's ACME's Mitch Orr, the Sydney chef who loves to hate having his food called "Italian". 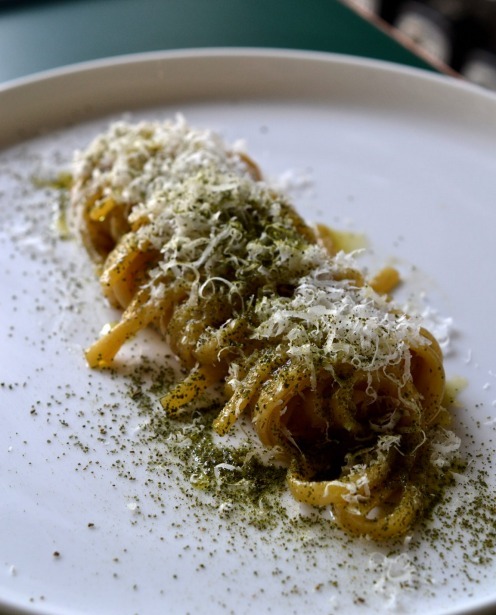 "What is so attractive about this new wave is that it is all experimental and pushing boundaries but completely grounded in solid Italian comfort," says Good Food Guide co-editor Myffy Rigby. 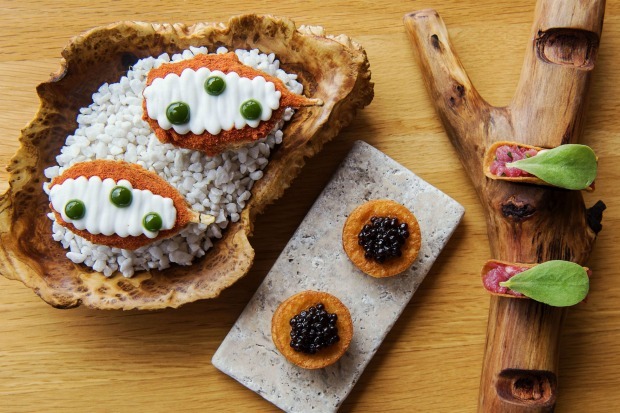 "The fact that most of the chefs executing this style of cooking have solid fine dining resumes that they've turned their backs on doesn't hurt either. 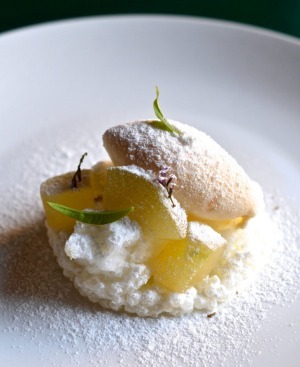 These are restaurants that consistently surprise, sometimes challenge and always delight." 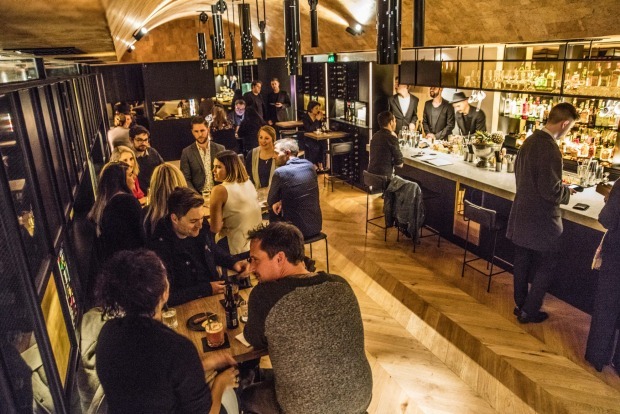 The wine lists might be as much about experimental juice from the Basket Ranges in South Australia as pinots from Mount Etna, but these venues are also still deeply Italian where it counts. Italy is, was and always will be, the king of fluid dining, where drinking and snacking evolves naturally into dinner, occasionally by mistake. Should we even call this "Italian food" anymore? Maybe it's simply "food". Let's just say these places are exciting us most about dining in 2017. Schmaltz. 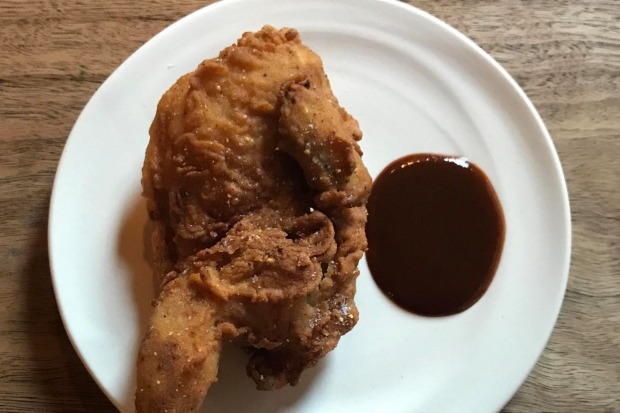 Is there anything rendered chicken fat can't do? Not around here, fun lovers. Take a look at this heirloom tomato, dressed in a sort of Yiddish bagna cauda of anchovies and garlic melted down through that fat, served plump and just-warm like the world's most zaftig entree. 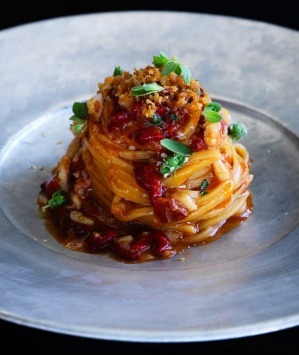 Pasta is, however, The Thing. 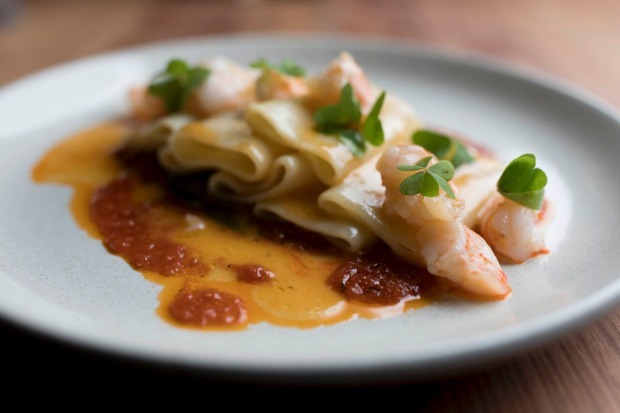 Eyes front and forks poised for maltagliati, a rhomboid pasta with sweet ruffled ends, highlighted with abalone shavings and a shallot sauce. The Grossi family has transformed a commercial space in a dumpster-filled lane into a sultry wine bar. Jewel-like stained glass panels are dotted among the wine racks and there's a backlit marble bar serving carefully crafted cocktails. 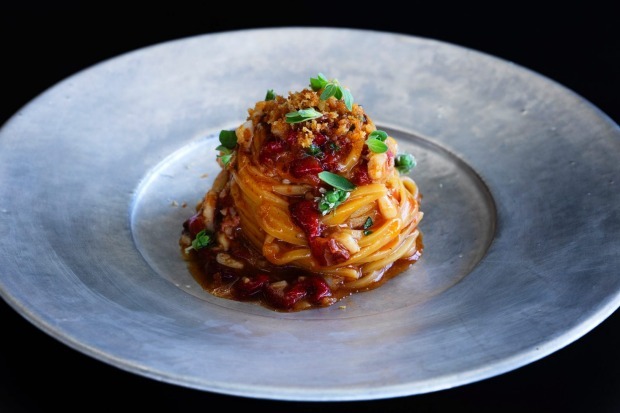 Small drinks-friendly dishes, courtesy of the Florentino kitchen across the lane, include saffron-scented risoni with bone marrow and puttanesca-esque midnight spaghetti funked up with anchovy sauce. 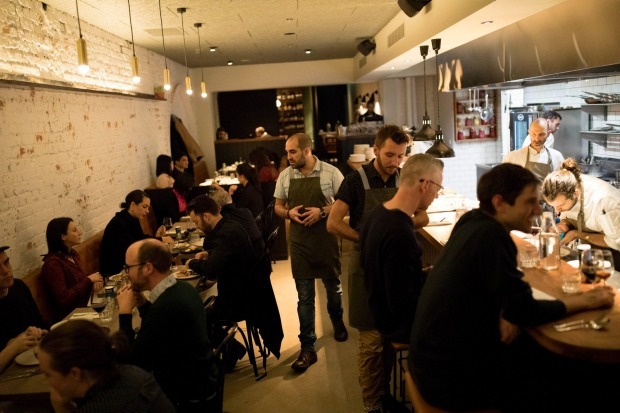 Last year, restaurateur Maurice Terzini turned one of the worst pubs in Surry Hills into a multi-tiered funhouse of pizza, wine, tiny snacks and beers. 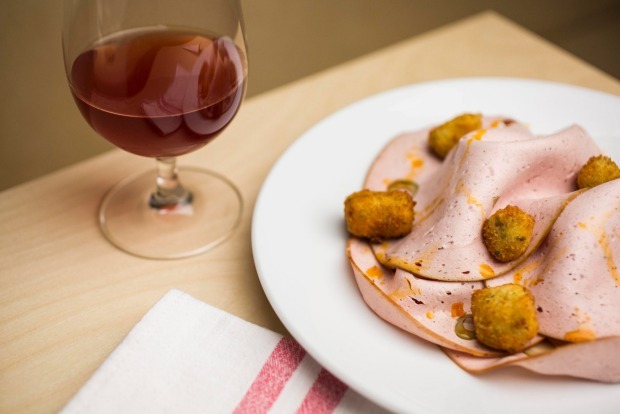 Hit the front bar for pints and deep-fried olives, the rear wine bar for natural-leaning wines and crisp pig's head sandwiches. And the dining room proper for classic Italian deliciousness punked up for third-wave diners. Standout dish: squid ink spaghetti made silky with sea urchin. 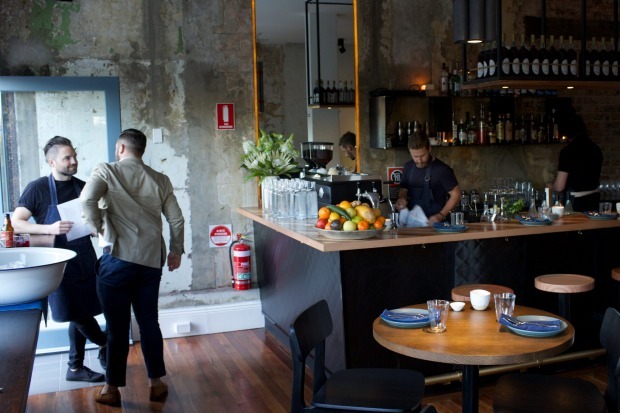 The plan was to open in Italy but owner-chefs Federica Andrisani and Oskar Rossi landed a little further south for their first restaurant, a pared-back bistro slinging contemporary Italo-Japanese dishes in Hobart. Be grateful they did. 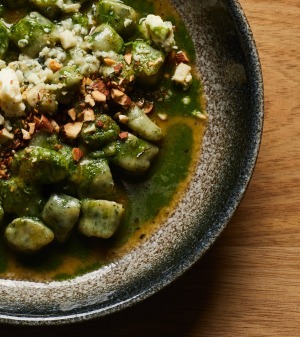 Supple goat's curd tortellini prove deep Italian roots, but next there's as likely to be squid-as-pasta "gnocchi" doing a gingery, lemony dance with fermented Japanese turnips and mustard greens. 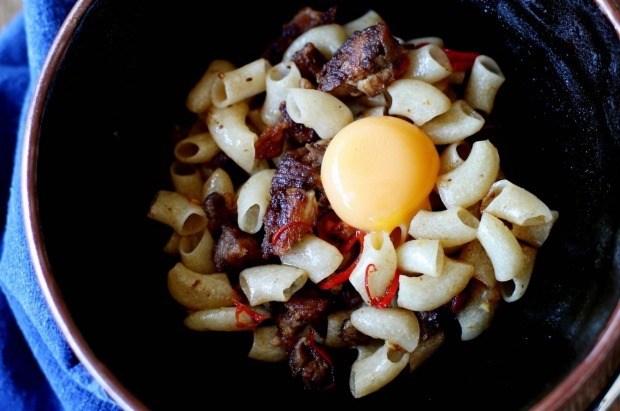 Joel Valvasori-Pereza's lacy-curtained Subiaco pasta bar could pull its weight anywhere in Australia. The service is fleet of foot. The wines tend towards skin contact and crunch. And while there's a serious amount of flex in the Not Pasta field, including potent little doughnuts flavoured with anchovy and lemon (see recipe), it's the fork-and-spoon action you're here for. It's fiercely precise Italian cooking made to look effortless. A round of applause, please, for "miso-trone". Perfect little balls of tomato, zucchini, onion, beetroot and macadamia – some pickled, some roasted, some raw – bathing in miso dashi with minty shiso in the distance. Light, simple, elegant. We'd still give chef Federico Zanellato props for the pun, even if the dish was only a bowl of soybeans on the turn, but this is LuMi, where the interplay of Italian and Japanese is consistently delicious and never forced. 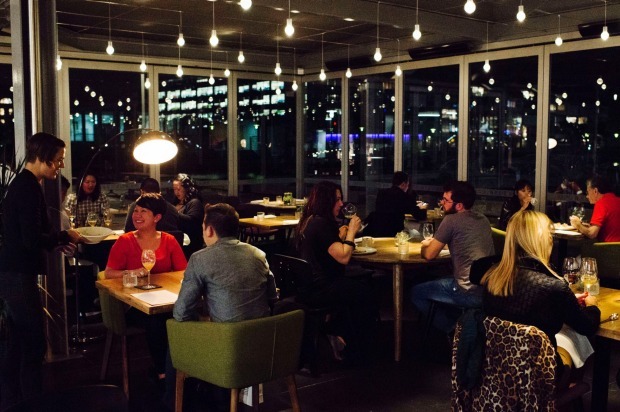 Recent renovations have seen the bar spruced up and beautiful bottle-green couches now border the north-facing windows looking across Pyrmont Bay. Some of Sydney's best snacking action comes in waves of cream and crunch, perched on wooden logs and tablets of stone. Marron in a taco. Eggplant parmigiano, crisp powdery shell around warm eggplant puree with parmesan cream. Savoury bomboloni, filled with spicy 'nduja. 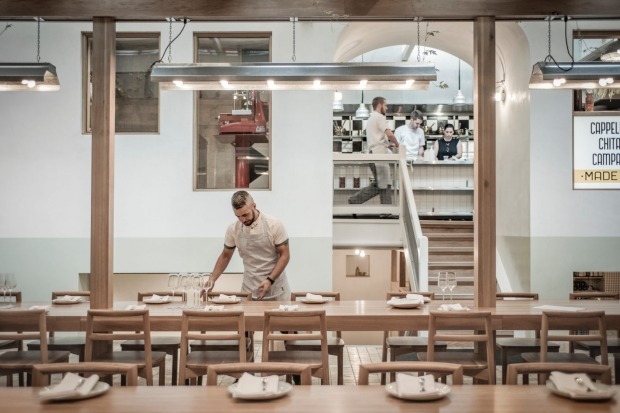 Whether you go for the "little" four-course Trip Through Italy inspired by four regions, or the longer degustation, the surprises at Ormeggio don't let up. To this add an attentive, experienced service crew, million-dollar views and a dedicated marina berth so you can sail alongside. The team from Tipo 00 have rebuilt the Scandi-inspired bar next door as a sleek marbled wine bar, which doubles as an overflow restaurant for their eternally busy pasta bar and triples as the best cocktail bar in the 'hood. 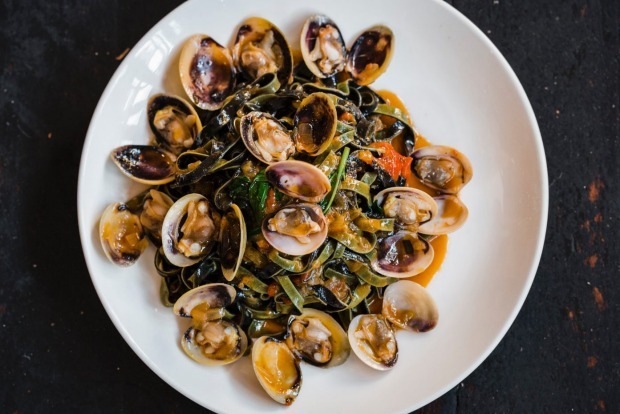 From the central open kitchen come dishes such as baby octopus with legs akimbo, bedded on 'nduja, and small, pillowy nettle gnocchi with almonds for crunch and gorzonzola for bite. This is Italian dining for the iPhone era. Oggi trades candle-stuffed chianti bottles for wildflowers, pastel walls and a polished marble bar – the kind of bar at which to smash a bottle of barolo with a side of pappardelle, rich and bitter with seared chicken livers and chicory. 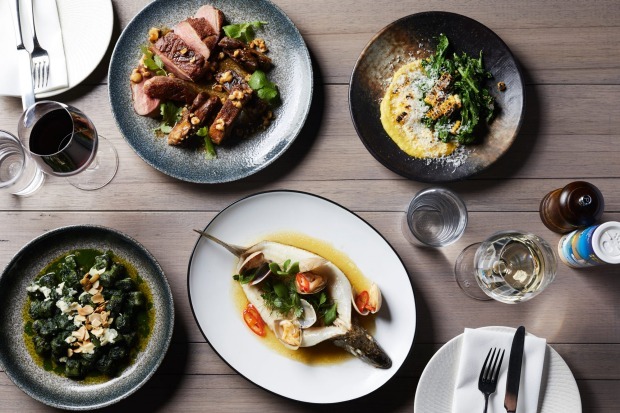 For large groups and carb-o-phobes a burly oven roasts whole flounder with chilli and mussels, and a braised lamb shoulder for two pepped up with zucchini and mint. 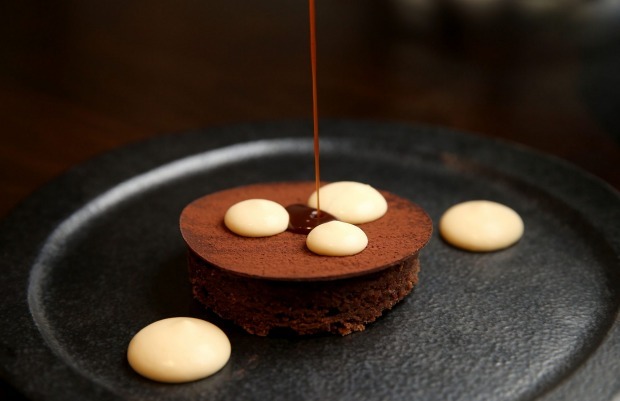 Finish with chocolate tart and amaro and seize the day. 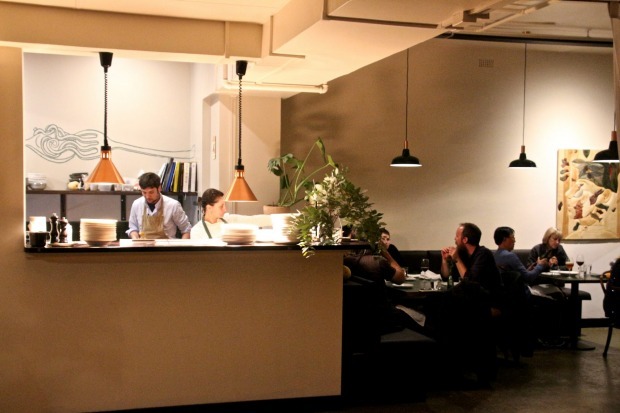 This is Adelaide's hippest house of pasta. 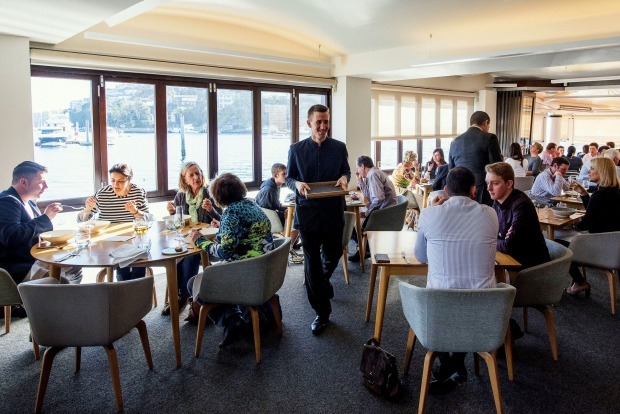 Hobart's greatest gift to dining might be producing restaurants doing huge things in spaces smaller than a Sydney bedsit. Meet Templo, Chris Chapple and Matt Breen's backstreet Italian-ish diner with a potent deliciousness-to-size ratio. A walk-in table can mean both forks in one bowl of, say, spaghetti lubricated by fruity oil, sweet tomatoes and meaty, low-on-funk sardines. 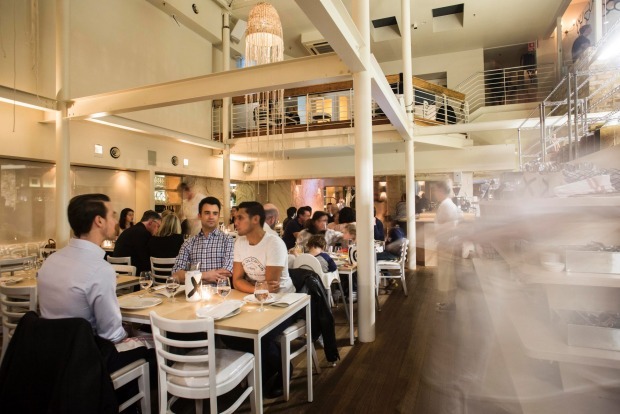 Consider the menu to be a party of local produce mingling in gentle Italian accents. 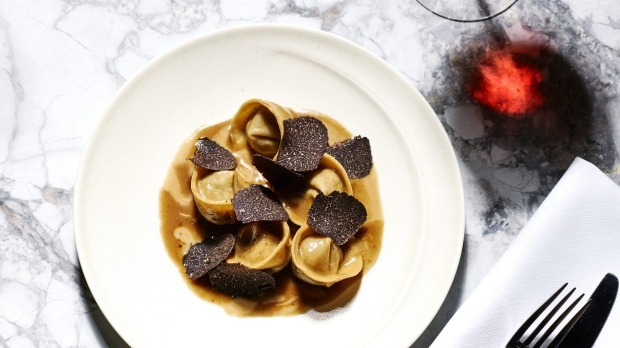 From the bullishly individual Italian wine list to the classic, unfussed good looks of the hardworking bistro, this buzzing temple of pasta perfection is a beguiling place. The short, sharp menu wastes no one's time, from an entree of braised globe artichoke roughed up with pangrattato or ribbons of pappardelle tangled around oregano-accented rabbit to the highly caffeinated "tipomisu" that will shake you awake.